If you’ve never played Portable Ops due to it being on a less popular system – the PSP – then here’s the minimum information you would need to continue following the story without ever having played it. It’s complicated, so even a simplification is kinda lengthy. But trust me, this is way simpler than the real thing, and everything you need to know is right here. In 1970, Snake thwarts another Metal Gear launch plan, and witnesses first-hand the destruction of his old FOX unit. In the end, he sets out to discover his purpose as a soldier and lays plans for his own unit – FOXHOUND. 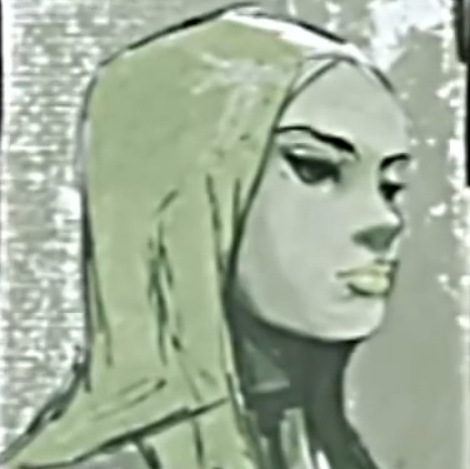 The year is 1970 – six years after the events in Snake Eater. Snake, now commonly known as Big Boss, awakens to find he’s been kidnapped and taken to a prison cell. Cunningham, a notorious interrogator for the FOX unit, enters and interrogates him as to the whereabouts of the second half of the Philosopher’s Legacy that the U.S. didn’t recover. Snake is suspected to have stolen it. However, he doesn’t know where it is. Cunningham is not convinced. Eventually Snake is left alone, and with the quick help of a fellow prisoner he is told how to escape. 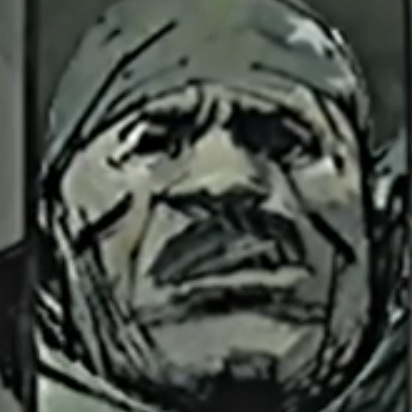 That prisoner is Roy Campbell, who informs Snake that he’s the only survivor of the American Green Beret team that was sent to the San Hieronymo Peninsula to investigate – thus informing Snake of where he’s been taken. 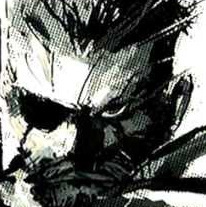 He’s also told that his unit from Operation Snake Eater – FOX – has gone renegade. Snake heads to a communications base to try to contact his old commander, Zero, for help. He’s only able to reach a couple old friends – Paramedic and Sigint – who tell him that he and Zero are being accused of starting this FOX revolt and stealing a valuable weapon from the CIA. To prove his innocence, he has to apprehend the supposed leader of the now rebelling FOX unit. Snake and Campbell decide they can’t do it alone. They recruit some soldiers in the area to their cause so their manpower is increased and they can be in more than one place at once. Meanwhile, Snake overhears plans of a weapon for FOX to use against Russia. He is concerned. Outside a research base, Snake gets his first glimpse at the FOX leader – Gene, who was busy giving a morale-building speech. While sneaking into a research base, Snake finds a fascinating sedated soldier and is confronted by Elisa. She helps him evade approaching guards then gives him some information on the sedated soldier who is called, Null. He is a genetically modified “perfect soldier”, whom Snake almost recognizes… Snake is reluctant to trust Elisa, but she ensures that her twin sister, Ursula is the one to be wary of. Later, while infiltrating a Harbor to learn more, Snake oversees the odd brute named Python – part of the FOX rebellion – but manages not to be seen. He is contacted by an unnamed person on his radio. For the time being, he calls himself “Ghost” and explains that the new FOX – the one that Snake about and is also accused of stealing – is a walking tank capable of firing nuclear missiles. Some time after, while infiltrating a recently discovered warhead-storage facility, Snake runs into Python again, who sabotages his efforts to blow up the storage facility. Then Snake and Python reminisce about their history together. They were once good friends who looked out for each other on a mission around 1960. Snake thought he had died there, but as it turns out, Python survived but with his body having lost the ability to regulate his temperature – hence his liquid-nitrogen-filled suit. Python explains that since then he’s been manufactured and enhanced specifically to kill Snake. Then the two fight each other (boss battle), and Snake wins, but he doesn’t kill him. He leaves him alive because he still remembers their friendship. Python, having been beaten, holds no hard feelings. Russia is losing money due to the expenses of the Cold War. They cannot afford to keep up military authority. Because of this, America, having acquired half the Legacy (a giant pool of money), has enough to keep up their war effort, thus America will become the dominant force over Russia. Thus the CIA, whose primary job is the control of intelligence against such a power and execution of various special missions, would no longer have such an important purpose. So, Gene is to give this American-made weapon to the Russians, so that Russia will be an equal military contender once again. The Cold War will not cease, thus the CIA will not lose importance. Snake is stunned at this. Gene also informs him that he is the product of a secret experiment to create the perfect commander. 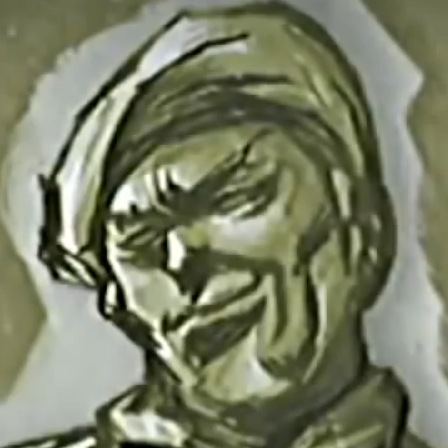 Later, it is revealed that Gene is in close contact with Ocelot, who handles things on the Russian side. Eventually, Snake’s recruited comrades arrive at his cell to rescue him, and they attempt to leave. During this, the rescue group is confronted by Cunningham, but Elisa arrives on scene with a getaway vehicle and they escape. Later, Elisa explains to Snake that she and her sister have ESP due to nuclear exposure, to which Snake replies he’s been exposed as well. She reveals that she has foreseen him bringing about the destruction of this Metal Gear, which is why she’s been on his side. With help from Elisa, Snake and his men discover the location of the Metal Gear and set out to plant explosives on it. 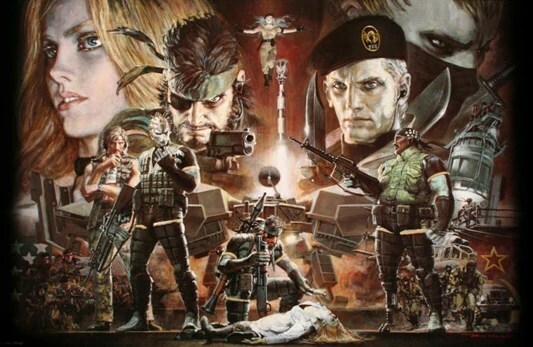 During their infiltration, the group is confronted by Gene and his men and is unable to finish the job of destroying the Metal Gear. Battle breaks out and Snake threatens to shoot Gene. Then Gene reveals that Elisa and Ursula are actually two halves of the same body and forces the nearby Elisa to become Ursula – the one on his side. During her transformation, she urges Snake to shoot her for the fear of what Ursula will do, but he doesn’t. Now as Ursula, she pilots the Metal Gear and fights Snake (boss battle). In battle, Snake blows up the Metal Gear reluctantly with Ursula/Elisa inside. With Metal Gear destroyed, Gene’s men give up the fight leaving Gene alone in his plan. 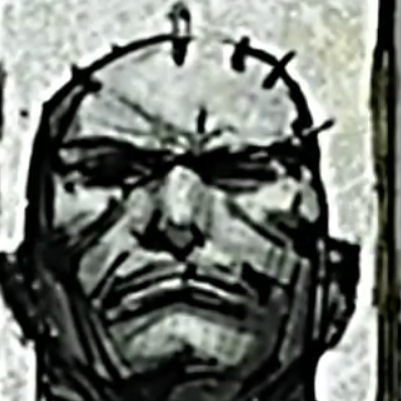 Soon, “Ghost” reveals himself to be Sokolov, the man Snake was sent to rescue in 1964 and joins the conversation between Gene and Snake. It’s then revealed that the Metal Gear Snake destroyed was a test model and the real one was getting ready to launch as they speak. With all the soldiers standing around, Gene uses his superior persuasion tactics to pit them against each other creating a diversion enough for him to escape. Snake is wounded lightly in the resulting carnage, which proves Gene’s words about humanity being foolish, violent animals. Later, during the infiltration of a silo complex to impair Metal Gear, Snake runs into Null again. Null is still angry for not having defeated Snake, and swears to finish him. Snake informs Null of the history they have which has been erased of Null’s memory. In 1966, they met in Mozambique where Null was a young boy-assassin who confused enemies with his youthful appearance prior to killing them. He was known then as “the frank hunter”. 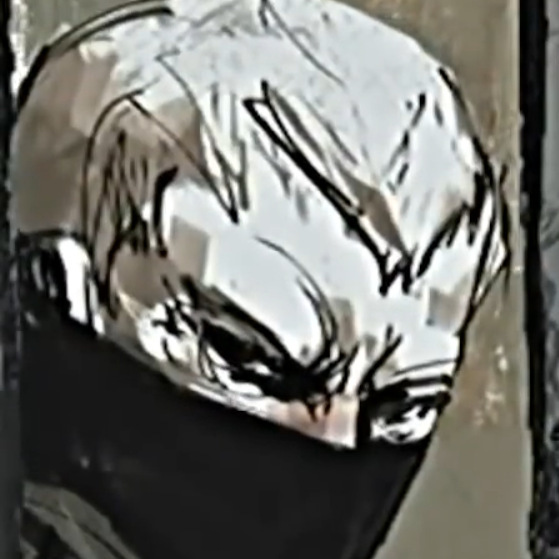 Null, brainwashed by a sense of duty as the perfect soldier, refused to give in to Snake’s down-talk. Snake and Null then furiously battled (boss battle), and Null’s will was defeated. After their battle, Null began to embrace the memory of he and Snake and thanked him for filling a void in him. Both Cunningham and Gene were working for the U.S. Department of Defense who wanted to reclaim their control over American military that the CIA stole from them in recent years. Thus, Gene was to steal the weapon and fire it into Russian land as to tarnish the CIA’s reputation effectively giving military control back to the USDD. This would not incite a war due to the fact that Russia saw Gene as a renegade not connected to a country. 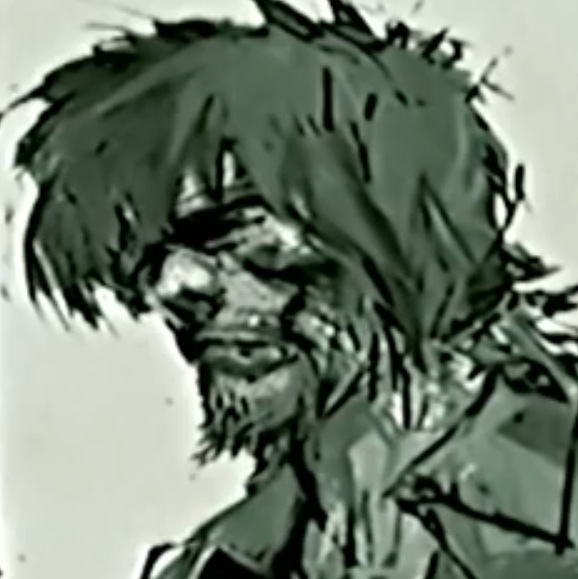 Cunningham’s job was to destroy the evidence relating any of this back to the U.S. by blowing up the facility after Gene launched the Metal Gear’s missile. Cunningham then tried to persuade Snake to leave right then and there offering the highest accolades and awards back in the USA. Snake did not budge, thus ensuing a deadly fight between he and Cunningham (boss battle). Snake left the scene victorious. Gene’s personal plan was to launch the missile not into Russia, but into Virginia, USA – home of both the Pentagon and CIA (the two conflicting organizations Cunningham spoke of) essentially eliminating the rule of the notoriously powerful Philosophers. The result would be chaos and the world order crumbling, thus giving him the perfect opportunity to operate secret missions from an underground base to sculpt the world as he saw fit – essentially gaining the same power the Philosophers had, but to produce a more constructive and whole world. His construction as “the perfect commander” gave him this “calling”. He felt himself in a position of responsibility to do so. Snake called Gene a dictator, however Gene was done talking. Right when he was about to launch the missile, his control panel exploded due to telekinetic powers of Ursula/Elisa. The two, apparently one now, said that they would not let nuclear weapons be used as they are horrible to the planet. Gene used his perfected agility to stab her, then ran off to a secondary control. Snake held her dying and spoke with her. She used that moment to tell Snake of her visions of Snake’s children – one who would bring the world to ruin and one who would save it. Afterward Snake rushed after Gene. By the time Snake reached him, the missile had already been finalized. The two fought a bitter fight (boss battle) and defeated Gene. Gene’s dying words were urged Snake to use the resources (that Gene had laid in place for his plan) to find his own calling handing him a microfilm with all the information. Then, Snake with the help of all the soldiers in the vicinity destroyed a crucial mechanism responsible for deploying the warhead mid-flight. The missile that was currently in-air dropped back down without creating any damage. The mission was a success. 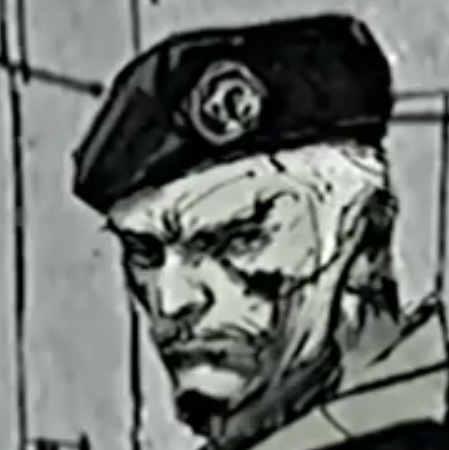 Later, Ocelot is shown to have infiltrated the CIA and holds up the CIA’s director who was in the process of transporting the American half of the Philosopher’s legacy. He killed him and his bodyguards, then reported that he had BOTH halves of the legacy. In the end, the entire San Hiernonymo story was covered up, so Snake couldn’t reap much benefits. But he vowed to do find his reason to fight. Thanks for writing this summary, it fills a major gap of story necessary to fully understand the Phantom Pain.